CGV started in 1901 in France. It was founded by three men: Fernand Charron, Leonce Girardot, and Emile Voigt. 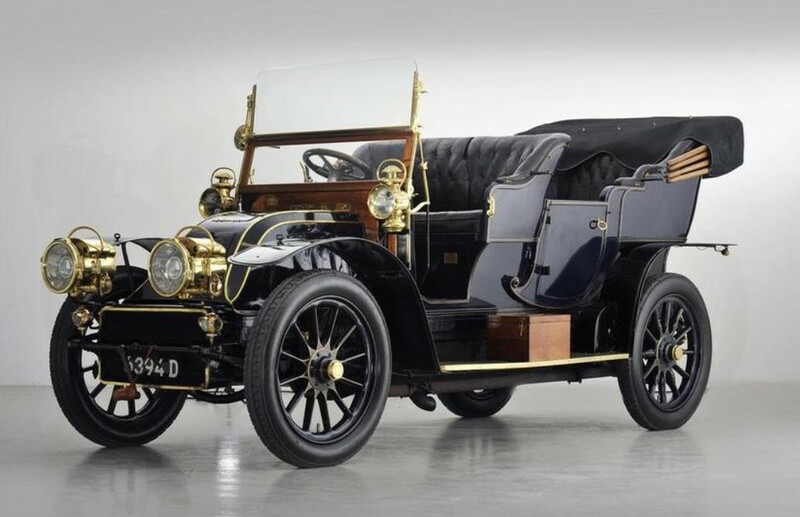 As you can see, they built some pretty impressive cars (compare this 1904 model to some of the other, much more basic pre-1905 cars from this sale). But in 1906, Girardot and Voigt left the company and, impressively, Charron continued to produce cars under his own name until 1930. The Type H1 seen here uses a 6.25-litre straight-four making almost 33 horsepower. This car was purchased new by a wealthy champagne baron who died later that year. The history of the car is unknown after that until 1968 when it was brought to the U.K. and sold the following year to a collector who had it until 2000. The original body was gone by the end of the 1960s and the replacement body was sold in 1972. So this body was commissioned in the style of a period phaeton. Everything was overhauled in 2000 and it has been used extensively since. Charron automobiles are seen relatively regularly, but CGVs, not so much. Only 79 examples of the Type H were built between the end of 1903 and all of 1904. This one should sell for between $630,000-$710,000. Click here for more info and here for more from this awesome sale. This entry was posted in Uncategorized and tagged 1904, 6.25-litre, auctions, Bonhams, cars, cgv, classic cars, four-cylinder, phaeton, side-entrance, type h1 by classiccarweekly. Bookmark the permalink.